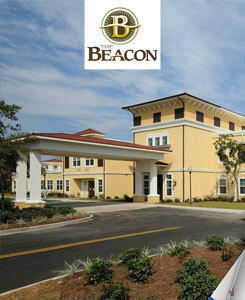 The Beacon at Gulf Breeze is a retirement, assisted living, and memory care community in Gulf Breeze Florida, at the western edge of the Florida panhandle. 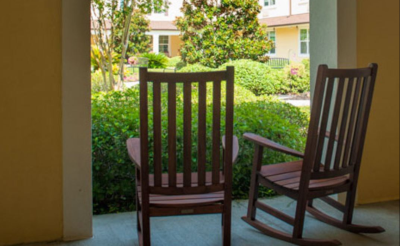 The facility was formerly known as The Blake at Gulf Breeze, when its original owners and founders, Glenn and Jackie Barclay, first opened it in 2008 as a new approach to senior housing that focused on resort style living while still providing the warm atmosphere that makes it feel like home. 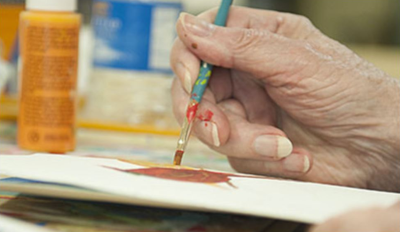 Blake Management Group has grown into an extensive collection of quality, senior living communities throughout Alabama, Louisiana, Mississippi, Tennessee, and South Carolina. 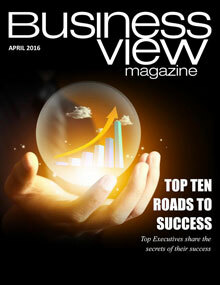 “When they opened in 2008,” says Tiffany Finelli, the Beacon’s Senior Solutions Director, “they saw a need to create something that had the luxury that our seniors are used to living in – somewhere they could take pride in calling their home while providing exceptional care.” In 2012, the Barclays sold the building to AEW Capital Management, but continued to manage the facility under the Blake Management Group, headquartered in Pensacola, Florida. In July, 2015, AEW sold the Blake to CNL Healthcare Properties, based in Orlando, Florida, a real estate investment trust (REIT) focused on senior housing and healthcare facilities. CNL selected Superior Residences, Inc. Management (SRIM) of Spring Hill, Florida to be the new management company. According to Finelli, only the name was changed; all the staff was retained. “The new management company left everything in place, including the facility’s extended congregate care license and they added a limited nursing services (LNS) license” she says. According to Scheurer, the Beacon differentiates itself from similar senior living communities in several ways, including round-the-clock nursing. “We have 24-hour nursing, so only nurses take care of medications and wound care,” she says. “A lot of these facilities have medication technicians that give medication, where we have licensed nurses who give the medications to our residents.” Another thing that sets the Beacon apart is its Guest Stay and Day Stay Programs which are designed for caregivers who either need time to take care of their own personal needs for a few hours, or take a well-deserved vacation for a weekend or a week. It’s also a safe and secure option for those individuals who have had a recent illness or hospital stay and need additional assistance or therapy before returning home. Hy-Brid Lifts by Custom Equipment, Inc.